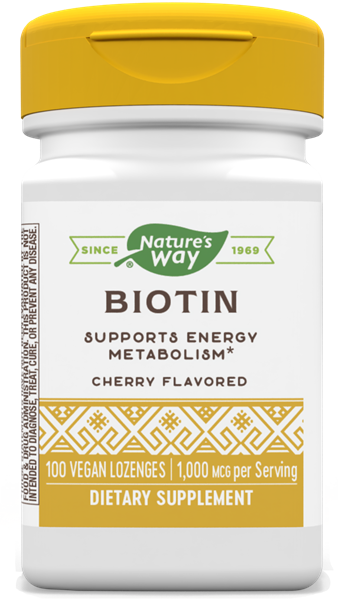 Biotin / 100 Lz - Nature's Way®. Chew 1 lozenge daily. Completely dissolve in mouth before swallowing. If pregnant, nursing or taking any medications, consult a healthcare professional before use.